Do you know how much your business is worth? Have you had a professional business valuation done this year? Most business owners only think about a valuation when they’re ready to buy or sell. However, there are other reasons that you need a current valuation of your company. First, let’s learn what is involved in a business valuation. A certified business valuation analyst inspects and analyzes a business to determine its true value. Various methods are used to determine assets, depreciation, income, and market value. The results are compiled in an official record called a valuation. The evaluation process requires extensive knowledge, accurate financial statements, and may involve analysis of future income and cash flow projections. You should choose a professional who is experienced in your type of business. 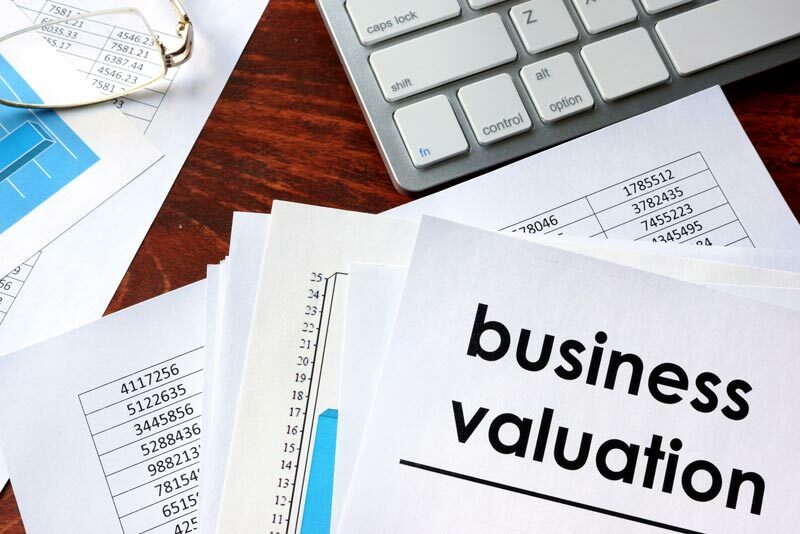 Business valuations are necessary for a variety of legal situations, including partnership disputes, purchase agreements, divorce, estates, gifts, and so on. Below are five of the most common legal situations that benefit from an up-to-date valuation. Most owners have an idea about the value of their company, but haven’t invested in a professional valuation. The best time to get a formal valuation is before you start the selling process. A credentialed professional can appraise your business before it’s listed, giving you a clear idea of the potential selling price. Another benefit is you can act quickly when an opportunity to sell arises. If you own a business and plan to pass it down to your descendants, you must have a valuation. Estate planning and tax laws are complicated. A valuation is required sometimes by the IRS for estate tax purpose to determine the value of an inherited asset or gift. The valuation helps determine the fair market value, as well as appreciation and/or depreciation of the asset for tax and distribution purposes. If you’re dealing with a divorce or other family issue, knowing the value of the business is necessary. A valuation provides clear information in a difficult situation. If one of the divorcing parties owns an interest in a business, the valuation helps with an equitable distribution of assets. In any divorce, the valuation provides a starting point for a settlement. What if you lose all your business records in a flood or fire? What if someone’s malicious behavior damages your business? Or in a breach of contract conflict situation? The valuation lets you compare the company before and after the damage. It could be used as evidence in legal proceedings. It also will help with insurance claims. Maybe you or a partner plans to retire. You’ll need a proper valuation to determine the buyout price, or perhaps in developing a “buy-sell” formula in the beginning of a business relationship. A valuation helps you figure out expansion or merger plans. It allows you to focus on taking your company to the next level by having a clearer understanding of where the business stands. The bottom line is you need to know how much the business, and your ownership interest, is worth. How is The Value Measured? First, a certified professional should do it. The main goal is to ascertain the exit value of your business. What would someone pay for it? There are three usual methods of business valuation. Income: This approach determines the value of the company based on its ability to generate economic benefits. Cash flow, earnings, and discretionary earnings are used to determine the value. Assets: This method determines the fair market value of assets and liabilities to determine value. Market Value: The value of the company is established by comparing it to recent sales of similar businesses. Comparative transactions and market comps are used. Ready to Learn the Value of Your Company? Now that you know why you need a current valuation, where do you start? The first step is to engage a certified valuation analyst, like Shuster & Company, to complete a professional financial analysis of your company. Please call us if you have any questions or visit our contact page, where you can leave a message or book an appointment. We look forward to meeting with you. A full-service Certified Public Accounting Firm located in Denver, Shuster & Company PC provides quality, personalized financial advice and guidance to individuals, businesses and the legal community. We offer an extensive range of services, with emphasis in forensic accounting, business valuation, and litigation support.